Experimenting with cardboard can sometimes result in making new friends. Mother/kid art project day: "Monster Mouth"
The wildling & I did an art collaboration today. We named it "Monster Mouth" and it was SUPER FUN! 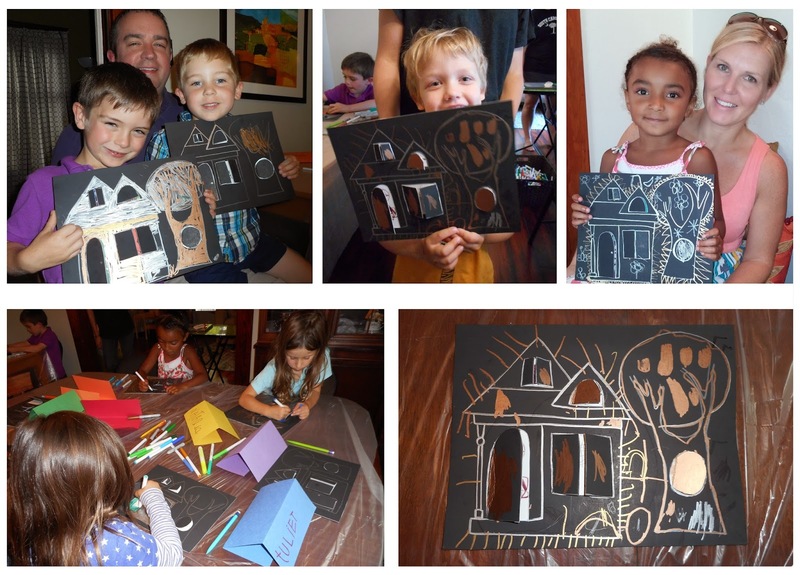 So I've decided to do ONE LAST art workshop of the summer & spread the awesome around! 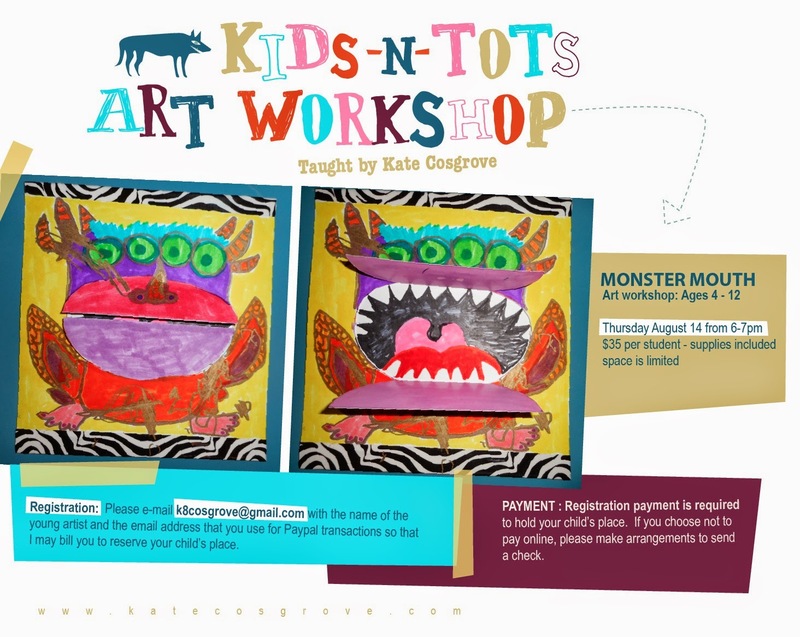 Hope your little artist can join me on August 14th, see flyer for details & registration. 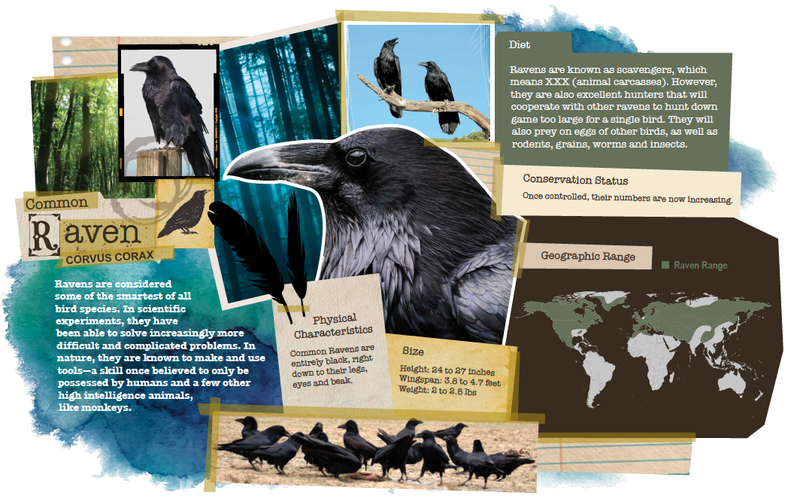 Potter Park Zoo is opening a new exhibit for their Raven very soon. With new exhibits comes great responsibility... And also an abundance of signage designed by me. Here are a couple of my faves. 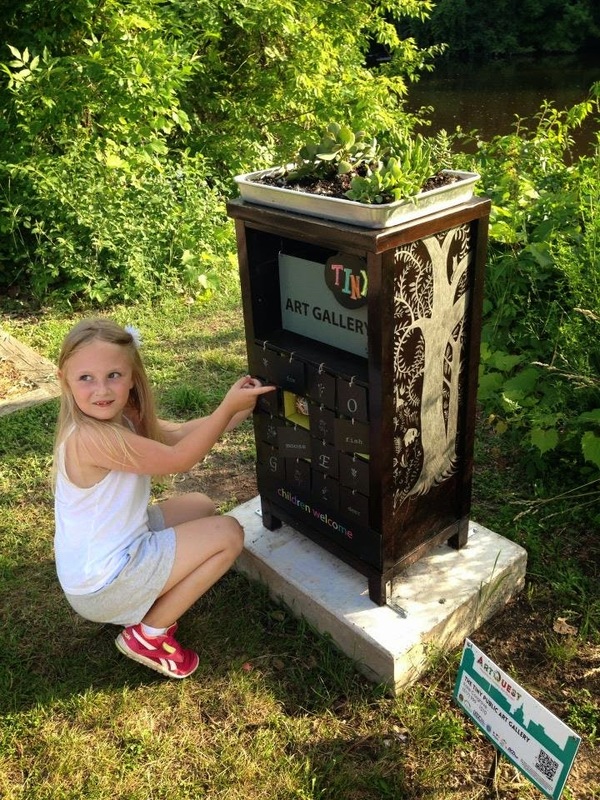 LOVING all the pix sent to me of people enjoying my ArtQuest public art installation. Please keep them coming! 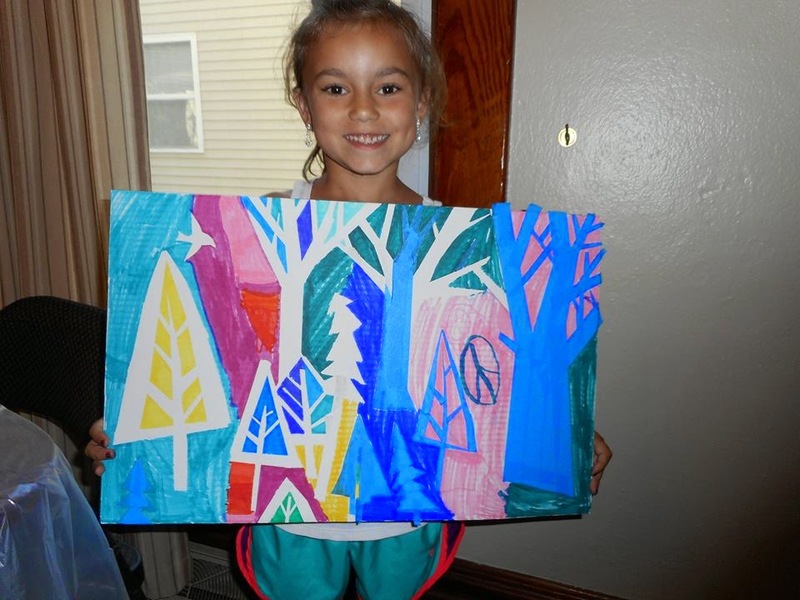 And if you haven't started your ArtQuest adventure, you still have until the end of August to get in on the fun! A small but fiercely talented group of girls signed up for my 'collage pop-up butterflies' workshop. We had so much fun & the butterflies turned out amazing! 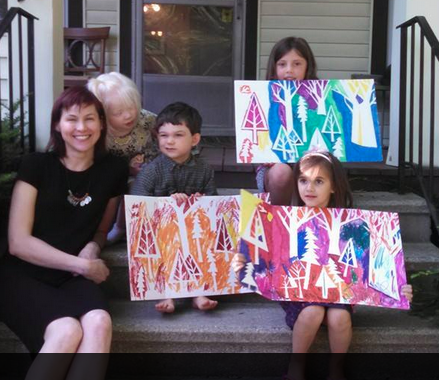 My house was invaded by 7 tiny tots, all demanding art. Fortunately I was ready for them. 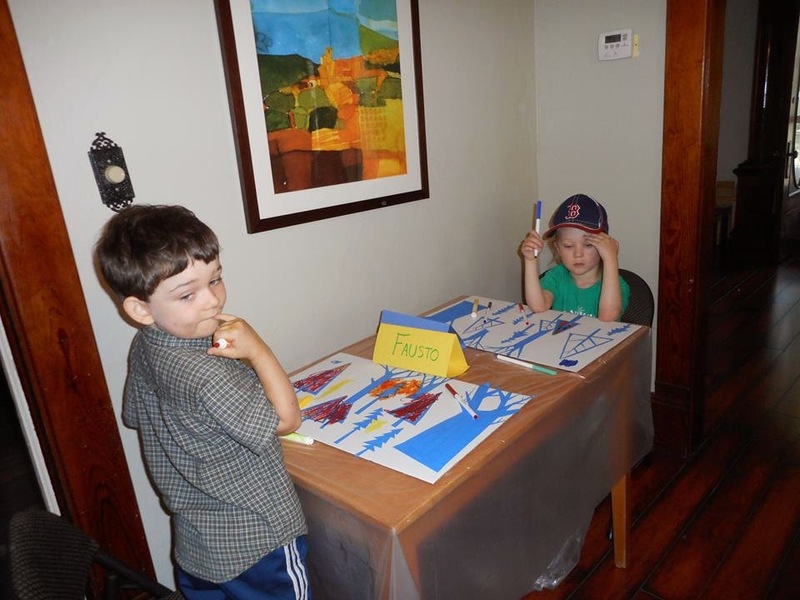 Here's a few pix of some of the masterpieces created by these 4-6 year olds. It did my heart good! Idylwood Presbyterian Church in Virginia is paying homage to my 'Mini Nativity' on the walls of their school. 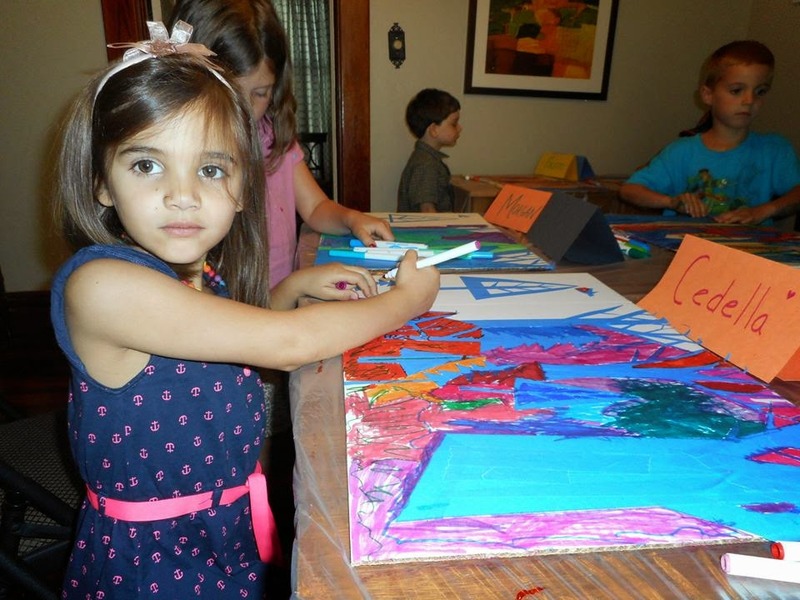 These young artists have been working diligently all spring on their masterpiece and here's the progress so far. I think they are doing a great job and I'm looking forward to seeing the final piece!